Bernard-Germain-Étienne de La Ville-sur-Illon, comte de Lacépède or La Cépède (26 December 1756 – 6 October 1825) was a French naturalist and an active freemason. He is known for his contribution to the Comte de Buffon's great work, the Histoire Naturelle. 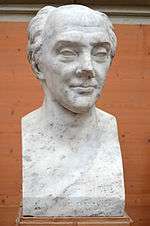 Bust of Bernard-Germain de Lacépède by David d'Angers (1824). Lacépède was born at Agen in Guienne. 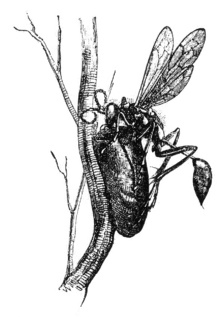 His education was carefully conducted by his father, and the early perusal of Buffon's Natural History (Histoire naturelle, générale et particulière) awakened his interest in that branch of study, which absorbed his chief attention. His leisure he devoted to music, in which, besides becoming a good performer on the piano and organ, he acquired considerable mastery of composition, two of his operas (which were never published) meeting with the high approval of Gluck; in 1781–1785 he also brought out in two volumes his Poétique de la musique. Meantime he wrote two treatises, Essai sur l'électricité (1781) and Physique générale et particulaire (1782–1784), which gained him the friendship of Buffon, who in 1785 appointed him subdemonstrator in the Jardin du Roi, and proposed that he continue Buffon's Histoire naturelle. This continuation was published under the titles Histoire naturelle des quadrupèdes ovipares et des serpents. Tome premier (1788) and Histoire naturelle des serpents. Tome second (1789). After the French Revolution Lacépède became a member of the Legislative Assembly, but during the Reign of Terror he left Paris, his life having become endangered by his disapproval of the massacres. When the Jardin du Roi was reorganized as the Jardin des Plantes, Lacépède was appointed to the chair allocated to the study of reptiles and fishes. In 1798, he published the first volume of Histoire naturelle des poissons, the fifth volume appearing in 1803, and in 1804 appeared his Histoire des cétacées. From this period until his death the part he took in politics prevented him making any further contribution of importance to science. In 1799, he became a senator, in 1801 president of the senate (a role he also fulfilled in 1807-08 and 1811–13), in 1803 grand chancellor of the Legion of Honor, in 1804 minister of state, and at the Bourbon Restoration in 1819 he was created a peer of France. He died at Épinay-sur-Seine. During the latter part of his life he wrote Histoire générale physique et civile de l'Europe, published posthumously in 18 volumes, 1826. 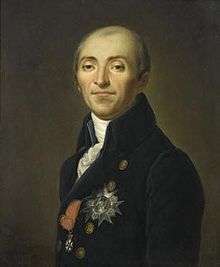 He was elected a member of the Institute of France in 1796, a Fellow of the Royal Society in 1806 and a foreign member of the Royal Swedish Academy of Sciences in 1812. Lacépède was initiated into freemasonry at 22 years old at Les Neuf Sœurs lodge in Paris, by Jérôme Lalande the worshipfull master himself, who wanted a naturalist for his prestigious lodge. In 1785 Lacépède created his own lodge : "Les Frères Initiés". After the Revolution, he helped Cambacérès to rebuild a French freemasonry submitted to the Emperor, and joined "Saint-Napoléon" lodge where General Kellermann was worshipfull master. He finished his masonic life as dignitary of the Suprême Conseil de France. Lacepede Bay in South Australia, and the Lacepede Islands off the northern coast of Western Australia, are named after him, as is the Rue Lacepede near the Jardin des Plantes. A species of gecko endemic to Mauritius, Phelsuma cepediana, is named in his honor. Histoire naturelle des serpents. Tome second. de Thou, Paris 1789. Histoire naturelle des quadrupèdes ovipares et des serpens. Tome premier. de Thou, Paris 1788. 1 2 One or more of the preceding sentences incorporates text from a publication now in the public domain: Chisholm, Hugh, ed. (1911). "Lacépède, Bernard Germain Étienne de la Ville, Compte de". Encyclopædia Britannica. 16 (11th ed.). Cambridge University Press. p. 48. ↑ Beolens B, Watkins M, Grayson M. 2011. The Eponym Dictionary of Reptiles. Baltimore: Johns Hopkins University Press. xiii + 296 pp. ISBN 978-1-4214-0135-5. ("Lacépède", p. 149).